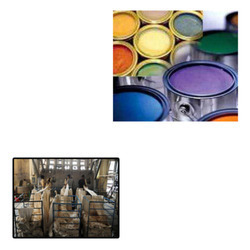 Leading Exporter of pigment emulsions for textile industry from Mumbai. We are occupied with offering our esteemed customers incomparable quality Pigment Emulsions for Textile Industry. The offered pigment emulsions are prepared utilizing the best quality chemical compounds and the most recent innovation in adherence with industry quality standards. Keeping in mind the end goal to keep up the quality, these pigment emulsions are completely tried on distinctive parameters of value. Notwithstanding this, we offer these pigment emulsions to our customers at ostensible costs. Looking for Pigment Emulsions for Textile Industry ?